Midas Prowash Pressure Washing is a family owned and operated business based out of San Antonio, TX. Pressure washing service San Antonio. Our service area includes San Antonio, Universal City, Leon Valley, Shavano Park, Balcones Heights, Grey Forest, Alamo Heights, Windcrest, Hollywood Park, China Grove, Helotes, Terrell Hills Hill Country Village, Olmos Park, Castle Hills, Live Oak Elmendorf, Schertz and Converse to name a few cities . We offer a variety of exterior cleaning service for your commercial or residential property. 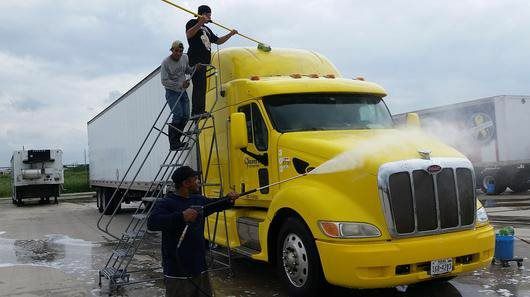 Midas Prowash – Pressure Washing Company in the San Antonio area. We are Prompt and Professional and all Work is Guaranteed! Our committed is to help homeowners maintain their property investments by improving the appearance and extending the life of wood, siding, roofs, sidewalks, driveways, gutters, patios, pool decks, and more through the removal of damaging pollution. Midas Prowash believes the mobile cleaning industry provides a vital service for maintaining homes and communities. Being certified by the UAMCC (United Association of Mobile Contract Cleaners) insures the job is done with the proper training. Please call or text for a free in-depth estimate of your cleaning needs.